If you have visited the beaches in our area this summer, you've come across banks of leaves lying on the beach. When you first see it you think it is a type of seaweed, but it is actually a sea grass called Posidonia oceanica also known as Neptune Grass, both names deriving from Poseidon, the Greek god of the seas. 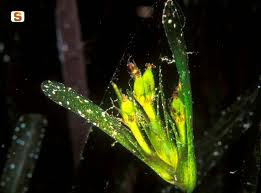 It is a underwater flowering plant, which forms dense meadows and is found between depths of 1-35 metres. 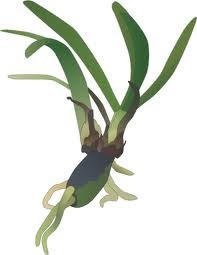 It anchor itself to the sea bottom by two types of rhizomes, one underground which can reach up to 1.5 meter, the other rising above the sea floor. The leaves are ribbon like in structure. The centre of the sea grass bed is green with the outer leaves becoming browner with age, the old leaves are shed in autumn and end up on the beaches. 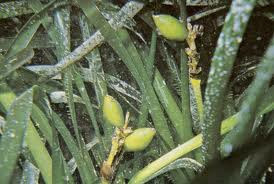 Posidonia flowers and produces fruit under the water surface. The fruit is free floating and is known in Italy as 'the olive of the sea' (l'oliva di mare). 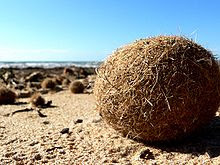 Balls of fibrous material from its old foliage are found washed up on the beaches. It absorbs carbon dioxide from the atmosphere and is thereby helping to slow down the effects of global warming. 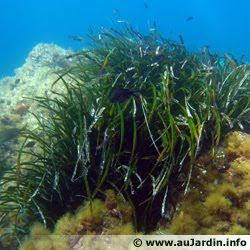 One square meter of sea grass meadow releases 20 liters of oxygen per day. It provides shelter and breeding ground for under water life. It anchors the sea floor to lessen the effects of coastal currents. It acts as a barrier, to diminish the force of the currents and waves and thus preventing coastal erosion. It dampens the force of the waves through the layer of dead leaves deposited on the beaches, with protects against erosion, especially during winter storms. 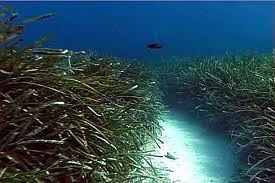 Posidonia grows at the rate of 1 centimetre per year, it will take 100 year to extend the sea grass meadow by just one square foot. Traditionally Posidonia leaves were used to stuff mattresses and pillows (they apparently deterred bed bugs), to feed cattle, to provide packing material, and even to thatch roofs. Next time when you visit the beaches in our area, you realise why the local authorities have decided to leave the old sea grass leaves on the beaches, it may look messy but it is essential to protect our local coastal environment.